Since 1902, Bow Brand has been at the forefront of technical advances in music string manufacture and today has a comprehensive collection of strings. Dedication to innovation and continual improvement in both manufacturing process and quality standards have established Bow Brand as one of the world's leading natural gut harp string manufacturers. 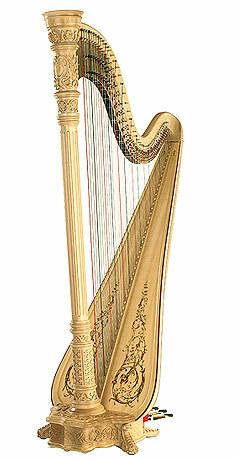 Working closely with harp manufacturers ensures that specialist knowledge and expertise is brought directly into the manufacturing process to maintain a competitive edge. Recent technological developments, exclusive to Bow Brand, include the new Concedo range – the world’s first white coated natural gut string which is available for pedal and lever harps.